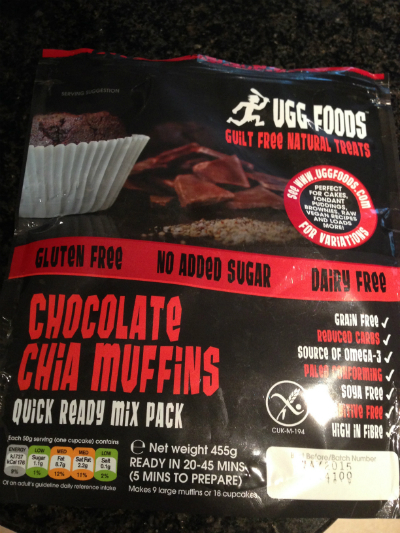 After meeting the team from UGG Foods at the Allergy and Free From show in London they kindly sent me a muffin mix to try from their range which is completely grain free. This was great for me as I am trying very hard to eat grain free as much as possible due to having both Crohns disease and Coeliac disease. My diet is free from grains and sugar and I follow a low carb high fat diet . The mix is also refined sugar free and fructose free. 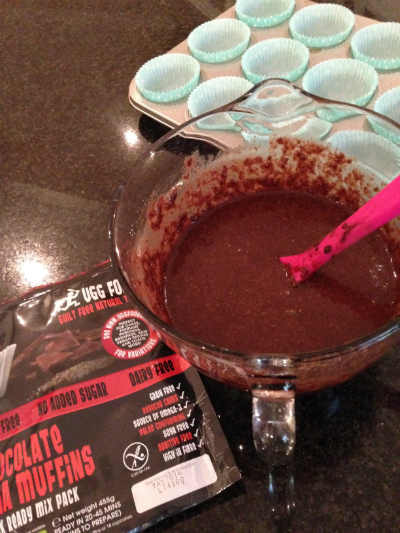 This chocolate chia mix certainly shows that you can still have treat foods on a grain free diet. The instructions on the reverse of the packet were clear and easy to follow. 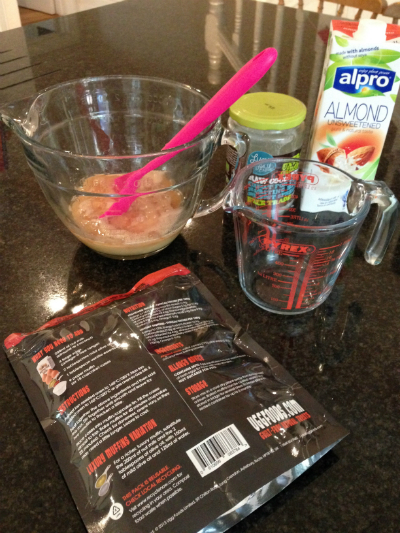 Simple adding eggs, vanilla essence, oil, non dairy milk and some muffin cases. 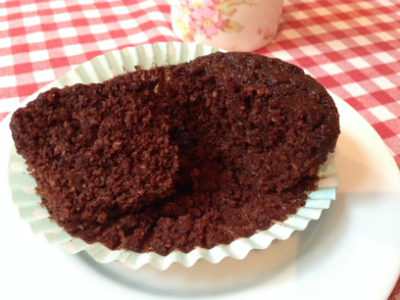 The packet is huge and heavy and makes 9 good size large muffins, and managed to make 10. one extra for me ! 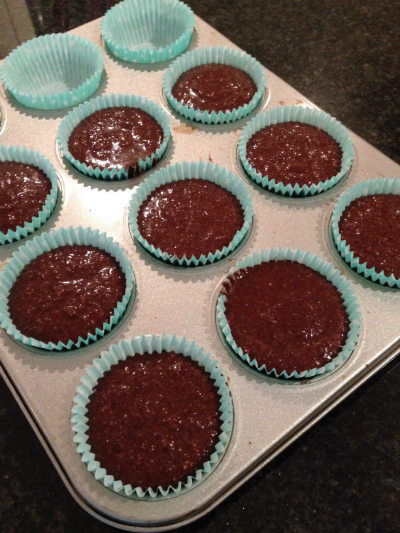 The mix contains ground almonds, xylitol, chia seeds, coconut flour and baking powder. I love using ground almonds and make most of my homemade cakes with this and occasionally use coconut flour, slightly trickier to work with. I used melted coconut oil in my muffins. Now Xylitol is something I know very little about. But I am trying to find refined sugar free and fructose free cake mix options so this ticked that box. Information from David Gillespie author of Sweet poison suggests that it is ‘your call’ as to whether you use this sweetener. 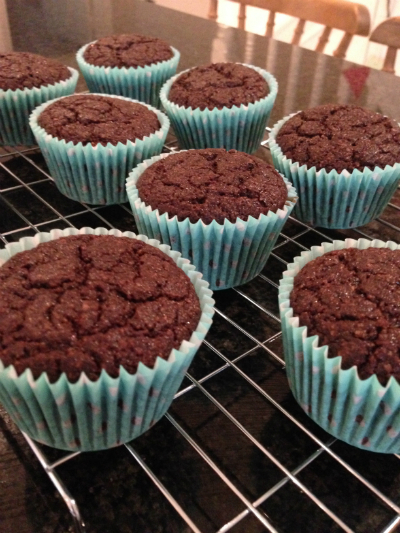 Sarah Wilson author of I Quit Sugar suggests xylitol ( a sugar alcohol ) is ok in moderation. Of course most cake mixes contain a huge amount of regular sugar so this mix is a real break through. Maybe Dextrose would be another option? The muffins bake for 40 mins at 140 degrees in a fan oven. I took mine out after 36 mins they looked very promising. They had a lovely texture, light and not overly sweet with a nice chocolatey flavour. I made 10 good size muffins from the mix. The cost of this mix is £6.95 quite expensive , but sadly grain free ingredients are not cheap even when you make cakes from scratch. 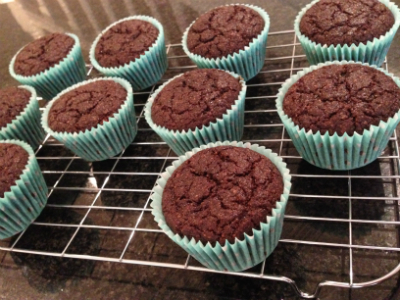 My gluten eating family were all keen to try the muffins for pudding this evening, and all gave them a big thumbs up! They are all very health conscious and are all now happy to eat grain free and refined sugar free with me. Four of their products were short listed in this years FreeFrom Food awards.